Edinburgh, UK – 29th August, 2017: Axios Systems, one of the world’s leading providers of IT Service Management (ITSM) and IT Asset Management (ITAM) solutions, is proud to announce the recent appointment of Andreas Hudson as its new Head of Global Marketing. Hudson takes over responsibility for Axios’ global marketing functions including marketing strategy, brand development, and marketing communications. Hudson, who has 20 years’ experience in marketing, sales and finance across various industries, is part of Axios’ strategic move to appoint new leadership throughout various departments. A passionate customer advocate and technology evangelist, Hudson has previously held various management roles throughout Europe and Australia and brings a wealth of knowledge and experience alongside an MBA from the Justus-Liebig University in his native Germany. 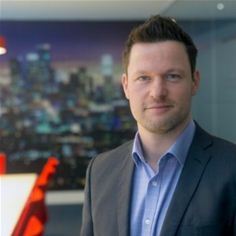 Commenting on his appointment, Andreas Hudson, Head of Global Marketing at Axios Systems said: “I am excited to join Axios Systems as an innovative leader and am ready to take on the challenge of growing Axios’s share within the ITSM/ITAM space as well as combining my passion for technology and for marketing to create an outstanding customer journey and experience. Hudson is the latest senior management figure to be appointed at Axios Systems, following the arrivals of Wendy Ellen (Head of Global HR), Gary Lessels (Global Consultancy Services) and Chris Rydings (CTO) in recent months. Axios’s ITSM and ITAM software solution, assyst, is purpose-built to transform IT departments into profitable business-focused customer service teams. assyst adds tangible value to each client’s organization by building on the ITIL® framework to help solve their business challenges.